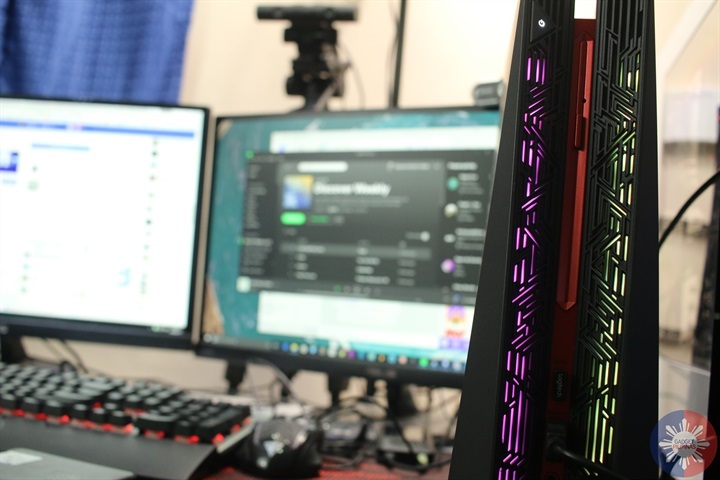 Whether you’re into playing games on your consoles or PC, space saving, performance and portability are the most likely qualifications gamers are looking for. 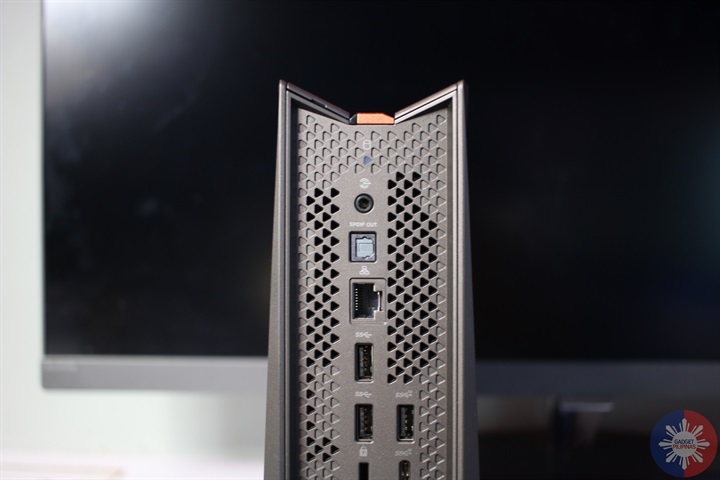 These things make up for consumer demands, which prompt brands to still produce, market and sell SFFs (small form factor) PCs. 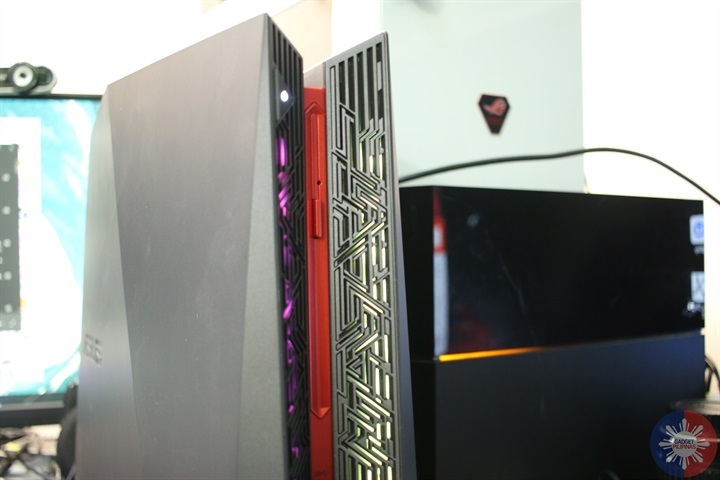 In focus on this review are two of ASUS’ hottest gaming PCs, which fit perfectly anywhere at your home. 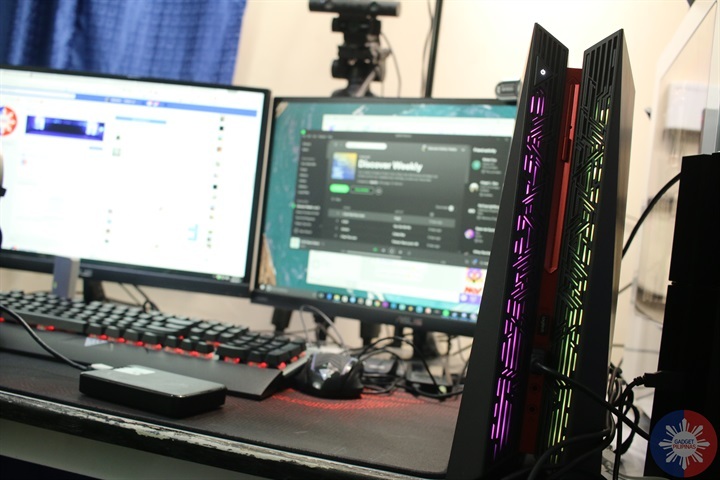 If you’re into playing at the comforts at your home, or joining LAN parties (yes, apparently, this still happens among Filipino gamers), ASUS ROG GR8 II and ASUS ROG G20CB are presented as best in class by the Taiwanese company. 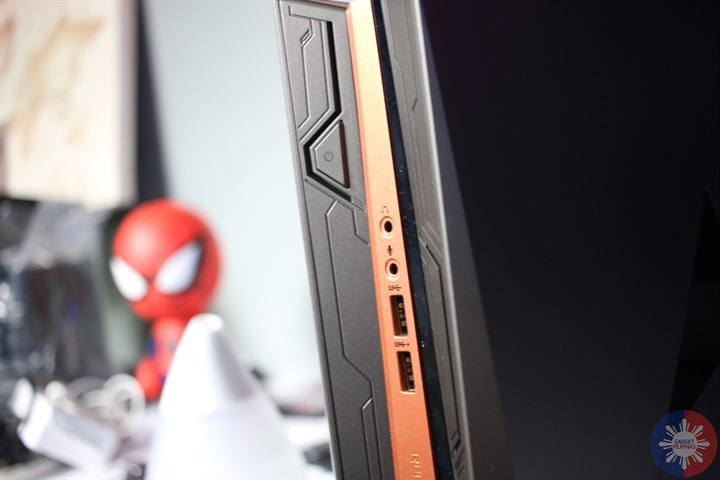 ROG GR8 II and G20 are both designed to capture the interest of gamers. 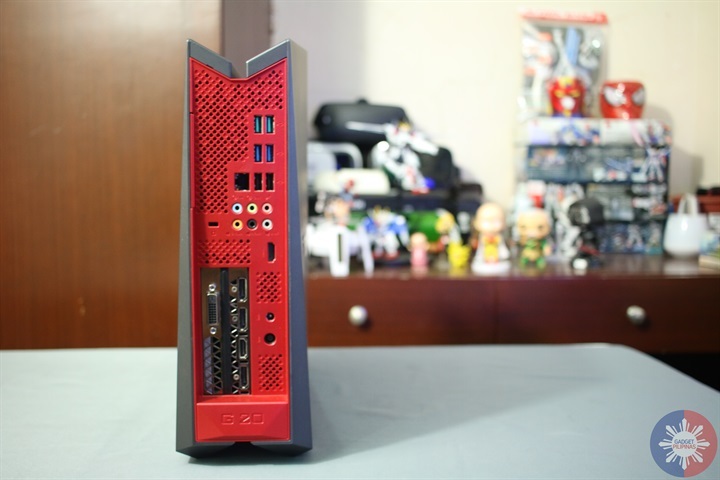 The overall build and quality of both computers are consistent with the Mayan design philosophy of ASUS Republic of Gamers. The similarity of build factor is almost spot on. “Members” of the so-called republic will deeply appreciate both devices. In my case though, the design of the new G20CB captivated me more than the GR8 II. Its front panel boasts aggressive lines with dynamic 8-million color LEDs underneath give it a fiercer and defined look compared to GR8 II’s minimalist front design. The G20CB, while under-powered in some aspects, is bigger (13.4 x 4.1 x 14.1 inches vs 11 x 3.4 x 11.7 inches). Nevertheless, it still makes it worthy to be called a small form factor because it’s just nudge bigger than the regular Playstation 4. 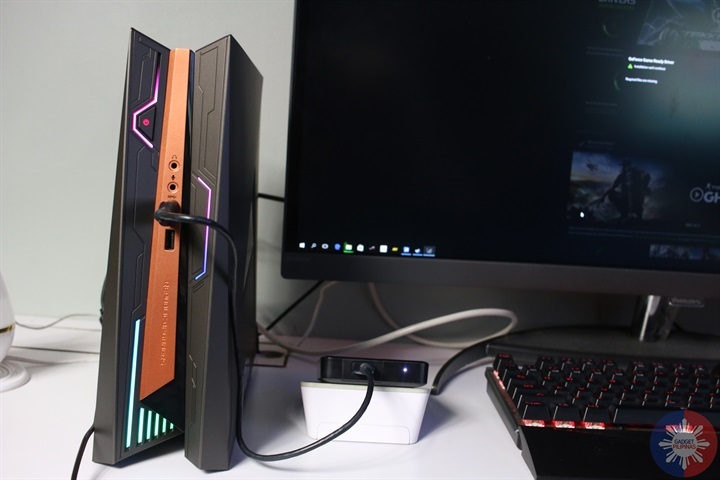 ASUS ROG GR8 II’s front panel has a more minimalist look than the G20CB. The lack of DVD tray may pose a bit of an issue for some gamers. Both devices’ LED lightning give your office, bedroom or living room desks beautiful ambient lightning. 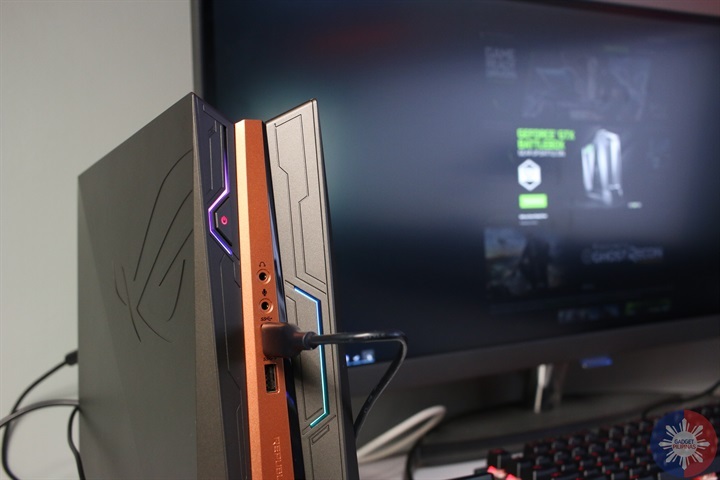 ASUS ROG GR8 II’s LED control features are much superior though as it’s fully compatible with ASUS Aura. There are more presets available on the GR8 II, and the ability to sychronize the light with all the attached Aura-compatible devices is much easier. ASUS ROG G20CB has lesser LED Light presets than the GR8 II. The major advantage of the G20CB out of the box are the included mouse and keyboard with membrane switches, volume control knob, and side panel LEDs. It is a basic addition in the package, but can definitely make a lot of difference especially to first-time PC users. 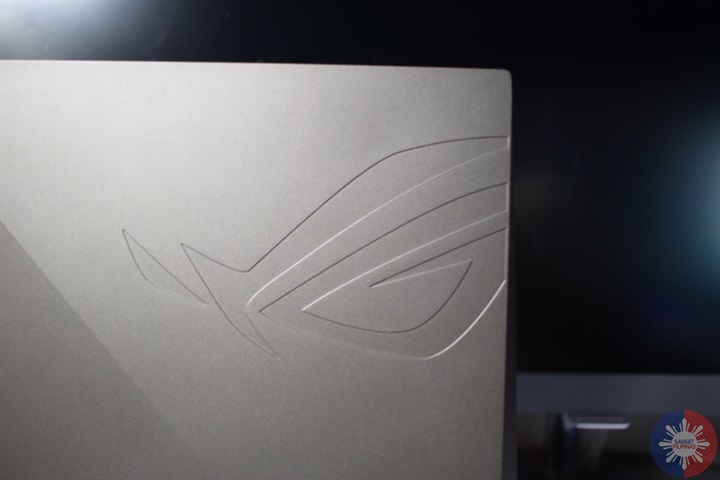 The ASUS ROG GR8 II’s side panel features a big etched ROG logo. Despite the small form factor of GR8 II and G20CB, both devices are packed with all the necessary I/O connectivity. G20CB is obviously superior in this department because of more connectivity options. Its compatibility to host surround sound is a big factor should gamers wish this to be set up in a gaming or living room. Since both devices run on Pascal GPUs, it is assured the devices can run all the VR titles available for PC. Unfortunately, I wasn’t able to test this because I didn’t have Oculus VR during my review. 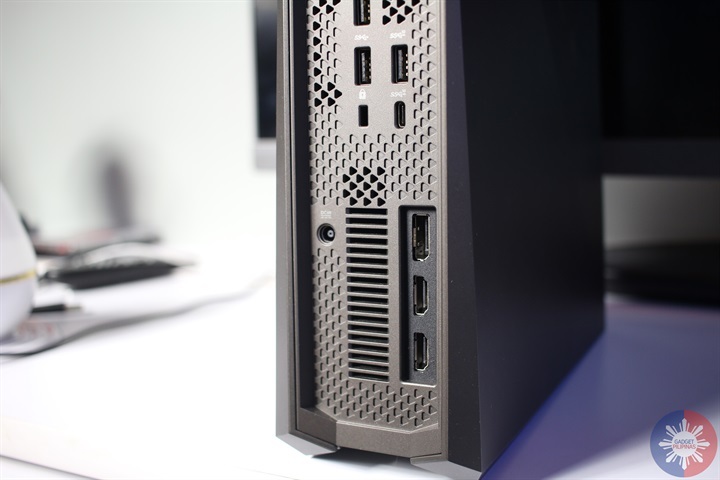 The availability of extra DVI output on the G2CB make it a viable SFF desktop PC with more than 2 monitor set up. 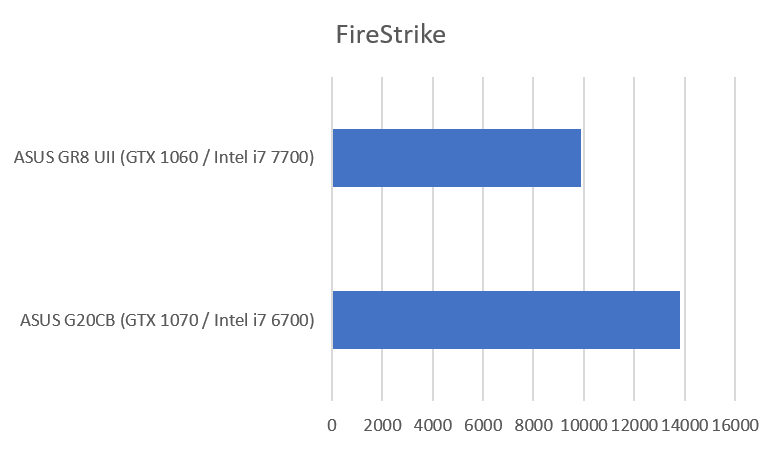 Undeniably, both devices are packed with impressive hardware specs. 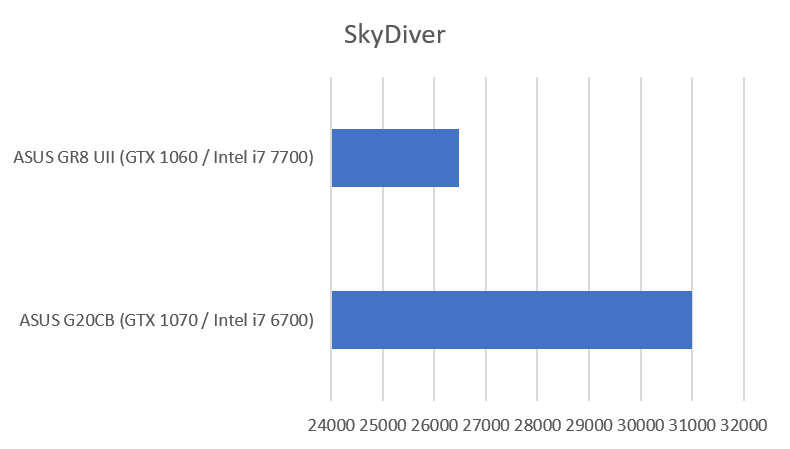 Despite having a far older generation Intel Processor, the G20CB we got from ASUS, obviously has far superior build and hardware. Let me point though that the GR8 II is a slouch. It performed acceptably well by my standards, but not enough to topple to overall quality of experience I had with the G20CB. Here’s quick look at the specs. While games are much faster to load on the GR8 II, I had multiple frame rate issues when playing at Full HD and 4K output. There is obviously a significant margin of performance between the GTX 1060 on GR8 II and the GTX 1070 on G20. 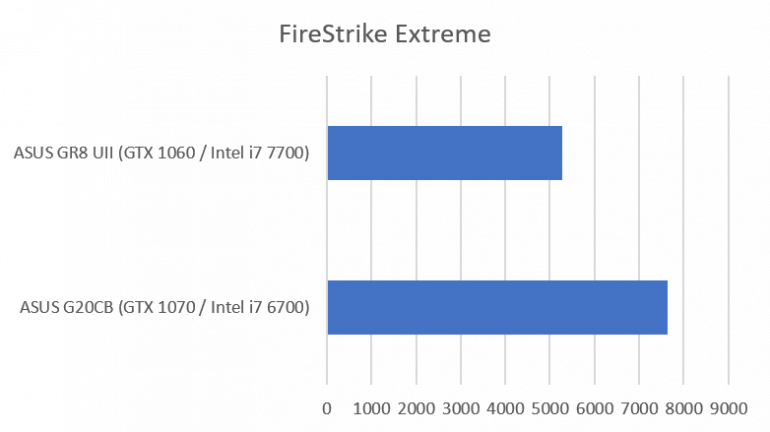 PlayerUnknown’s Battleground, even at its infancy stage, runs consistently better on G20 than GR8 II, which had stutter and graphics loading issues. I’d like to note though that Call of Duty: Advanced Warfare, Overwatch and Rise of the Tomb Raider play well on both devices, with minimal issues on GR8 II. GR8 II and G20CB stand out in the market today because they touch a specific market segment that put a lot of importance on portability without sacrificing much on power. 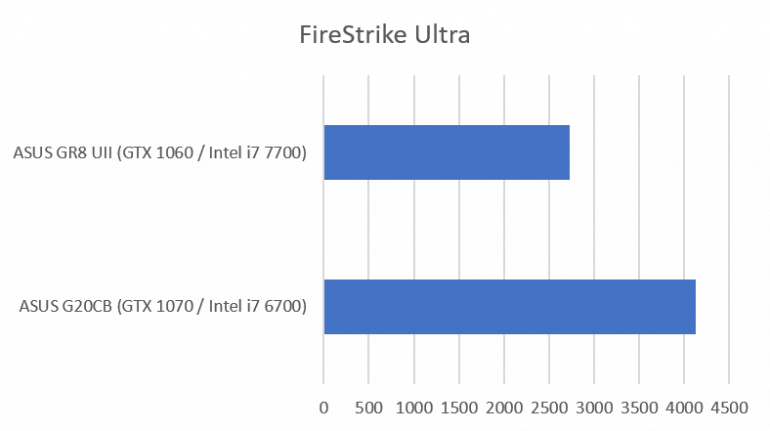 There are certainly trade-offs that this market segment are willing to take like upgradability and true desktop-class performance. The prices of these products are relatively high as well because of the aforementioned innate strengths and positioning.